The essential antioxidant vitamin C in its natural form. Camu camu contains more vitamin C than any other fruit in the world. 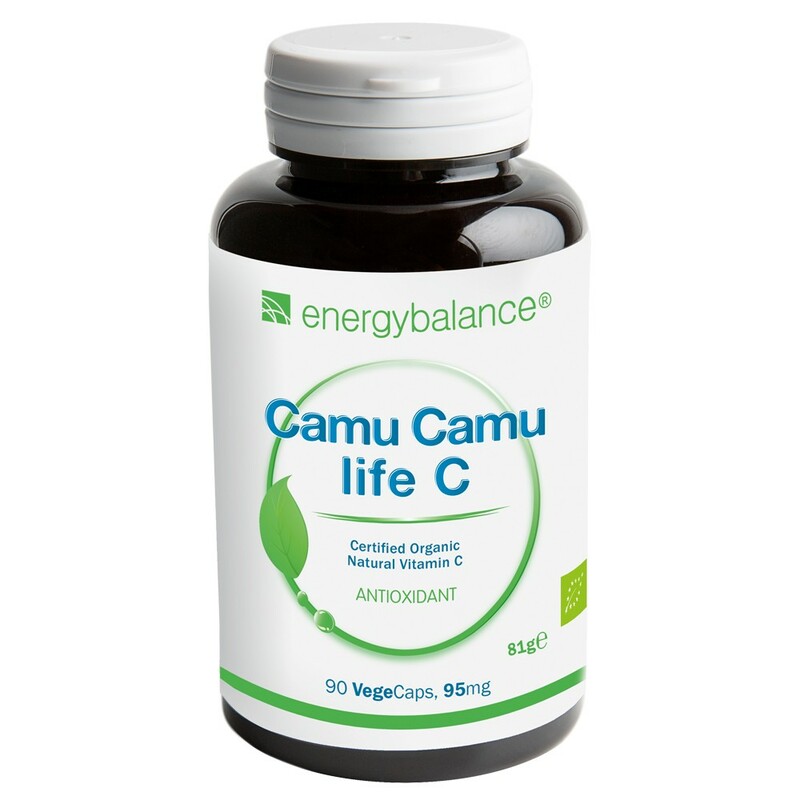 CamuCamu life C is an essential nutrient and needs to be provided to the body through the food you eat. It is best absorbed by the body in its natural form. It's almost like eating a lemon or an orange. CamuCamu HighAbsorption Vitamin C contains 95mg of natural vitamin C per capsule and is suitable for vegetarians and vegans, too. Contents: 90 VegeCaps each containing 95mg of natural vitamin C = 8.5g organic camu camu natural vitamin C and organic maltodextrin. It neutralizes free radicals, protecting the body. Vitamin C helps maintain healthy bones, teeth, gums and blood vessels. The camu camu fruit grows in the Amazon rain forest, mostly in swampy, flooded riverbank areas, where it is harvested from the river by boat by the local Indios. Even hundreds of years ago the fruit tree was referred to as ""the tree of health;""?the Indios called it a ""miracle cure"" and valued it highly because it gave them endurance, vitality and staying power. The natural substances from the robustly red, plum-like camu camu fruit, otherwise known as phytochemicals, and a considerable amount of vitamin C act as aromatic stimulants when your energy levels are low. Camu camu from the tropical rainforest is a healthy alternative to coffee, tea and other stimulants. Coffee, tea and other drinks that boost your energy contain substances that are harmful to the body like caffeine, theine and taurine. In contrast, camu camu powder boosts your energy the natural way thanks to the stimulating effect of phytochemicals and natural vitamin C.